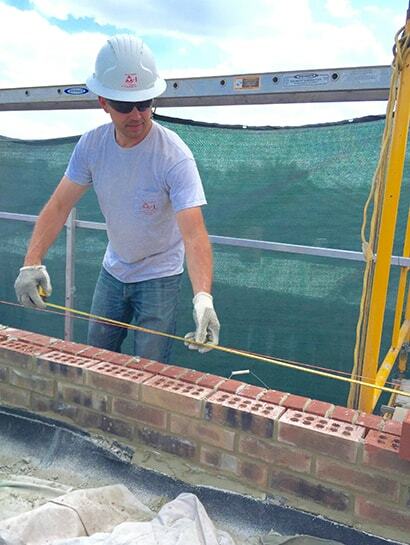 AAA-1 Masonry & Tuckpointing is the preferred vendor of thousands of homeowners, real estate agents, condominium associations, property managers, universities, churches, synagogues and commercial property owners. We not only repair damaged masonry but also suggest ways to get at the source of the damage which saves you time, money, and headaches in the long-run. Our work increases the beauty, maximizes the energy efficiency, and improves the value of your building. Do you have eroded, cracked or missing mortar between the bricks, stones, or concrete blocks in your building? Do your walls look uneven, tippy or wavy? Do you have a whitish powder or cloudiness on the wall a few days after a rain or winter thaw? Is interior drywall or plaster soft and powdery? Is the paint on your walls peeling or flaking away? Do your windows and doors appear to be pushed out of alignment or hard to open? If so, then your structure may be in need of immediate masonry restoration work. The weather in the Chicagoland area is hard on masonry structures! Driving rains and repeated freeze/thaw temperature swings wreak havoc with the integrity of your building. If your building is less than 25 years old, then some or all of your load-bearing walls may be constructed with concrete blocks, which have additional maintenance requirements. We can help!